One of the greatest joys that a garden has to offer is as a reminder of seasonal change. Daylength, nighttime temperatures, soil warmth, moisture, humidity, the angle of the sun and other factors are in constant change in a garden. A well constructed garden, I believe, should reflect these changes and provide the owners with continual surprises throughout the year. Too often our local gardens fail to reflect the seasons. Carrotwood trees, boxwoods, fescue lawns and ivy geraniums are fine, but will the all-year sameness of these combinations entertain us for long? A garden that looks the same in December as it does in April, and the same again in September will, over time, usually fail to maintain the interest of the gardener. Instead, a well designed garden is never static. Gardens are not paintings; nor are they musical compositions. Once these creations are complete the artist or composer puts away their tools and their work is finished, preserved forever for anyone to see, hear or experience, just as they have left it. Gardens, by distinction, are reflections of nature. Sometimes bright, sometimes subdued; sometimes emerging, sometimes withdrawing. But gardens are always changing. In Orange County, the natural transition from summer to winter begins with lowering temperatures and reduced sunlight. Recognizing the effect these changes bring in a garden can be an eye-opening experience. With the change in temperature and light, plants change and the garden takes on a new character. Right now in our gardens the leaves of birch, liquidambar, crepe myrtle and pomegranate have transformed to solemn earth tones. Navel and mandarin oranges are changing from green to bright orange. Bird of Paradise plants are now alive with spikes of bright color as their flowering season begins. Cool season, winter-growing plants are waking up from their summer rest and bursting forth with bright fresh green foliage. Green spikes of narcissus and glossy ceanothus leaves are expanding and calling for our attention. The season is reflected in certain plants, and these same plants, in turn, reflect the season. The result is a dynamic and sensual garden experience, one that will hold ones attention throughout the year. Currently, in the vegetable garden sad looking tomatoes, peppers, squash and beans have given way to the bright green and bronze tones of lettuce, chard, carrot tops others. In a well crafted garden-for-every-season flowers too are always in motion. Violas, primrose and poppies, now in bloom, seem to communicate the season at hand. At this time of year, the leaves of deciduous trees and shrubs transform our gardens. The amazing branch architecture of redbud trees and the warm colors of young birch branches, where previously obscured, are now revealed in all their glory. Beneath these plants, where once there was shade, now there is light and unusual patterns. What a pleasant change. Even fallen leaves are a tangible and welcome sign of the parade of seasons in an active, vigorous garden. 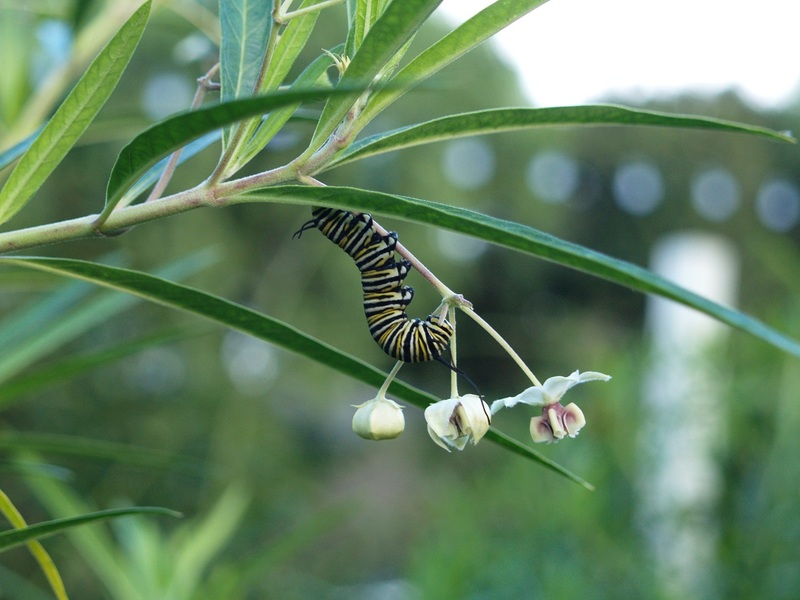 Changes aren’t only seen in garden plants, but animals, insects and wildlife as well. Winter visiting Yellow-rumped Warblers are now gleaning the branches of our sycamore trees, Cedar Waxwings are at work on the bright red toyon berries and soon tiny nests of Anna’s Hummingbirds will be found by those who look carefully. As inquisitive gardeners, we try to follow nature’s cue and stay in step with the vagaries of each new season. Bare branches remind us of the season, as do new weeds along the borders and the long shadows upon the soil. How unfortunate it would be to miss all of this with only a collection of static, unseasonable, never-changing plants. Open our eyes, noses and ears to the magnificence of the seasons and our garden experiences will be so much richer and more rewarding. Noticing the delicacy of rose hips, the morning dew on leaves and the patterns of the branches is what consummates a garden - a garden of the seasons. Ron Vanderhoff is the Nursery Manager at Roger’s Gardens in Corona del Mar. Questions from Readers December 6. Answer: Good timing Tina. Dig the tubers from the soil carefully. Carefully remove any large clumps of soil and use a garden hose to wash away the rest. Now turn the clump upside down in a shady dry location for a couple of days or until there is no remnant of moisture. Place each tuber into a separate plastic grocery bag and cover it with dry vermiculite or wood chips. A dry, wood based ground mulch will also work just fine. Place the bags of dahlia tubers in a cool, dry location until March or early April, when it will be time to divide them and replant the tubers for another summer full of flowers. Eighty years ago Dorothy opened her door, walked outside and into a garden. I suspect that April might be the busiest month of the year for most local gardeners. "Dahlias are back in fashion", said the magazine title. I am a huge fan of Phormiums. Although the days are shortening at this time of year, a gardener's to-do list is not. May and June is the perfect time to plant heat loving summer vegetables. I stopped to get my morning coffee at a little place not far from my home. It seems mothers’ can always tell when their children are telling a fib.